From a decorating point of view, I’ve exhausted all the rooms in my house, having not only decorated all of them but re-decorated them several times over, so it’s a nice change to finally have a new room purpose to decorate for: a baby nursery! 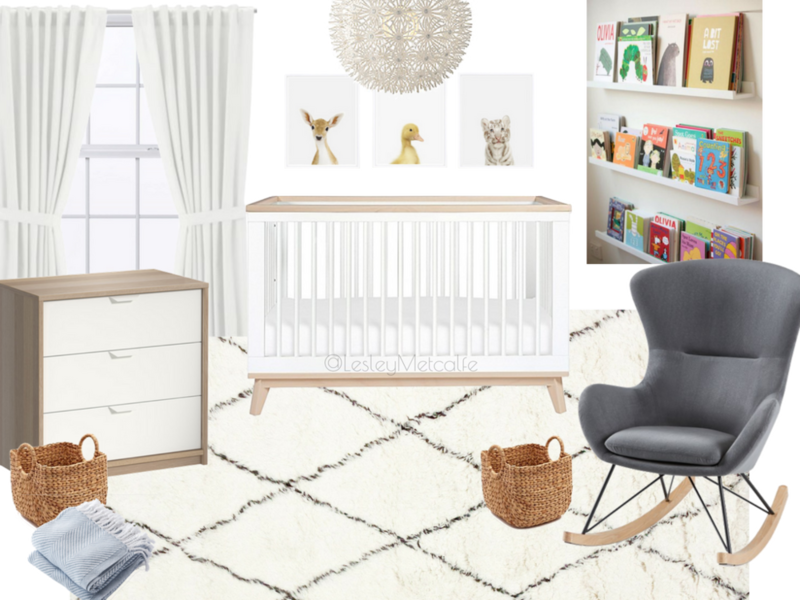 I started planning the design scheme for the nursery almost immediately after finding out I was pregnant (that’s the designer in me! ), and long before finding out the gender, but even if I had known the gender it wouldn’t have dictated my design choices. I just went with the style that appeals to me most, and it ended up turning out very “gender neutral.” I’ve always loved the nurseries designed by Christine Dovey, Emily Henderson and Jillian Harris, and the modern, neutral, tranquil vibe they exude inspired me when designing my own. I’ll share photos of the room once it’s fully assembled and will also share my top picks for nursery item essentials!